Yes, the Apple iPhone goes on sale Friday. 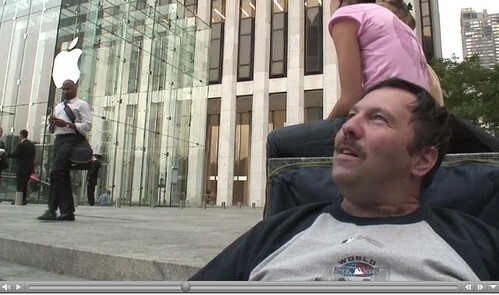 Mr. Packer from Long Island was first in line at the Apple Store in New York. He started the queue at 5:00 a.m. on Monday. Read the "First in Line" blog. Watch his interview here. 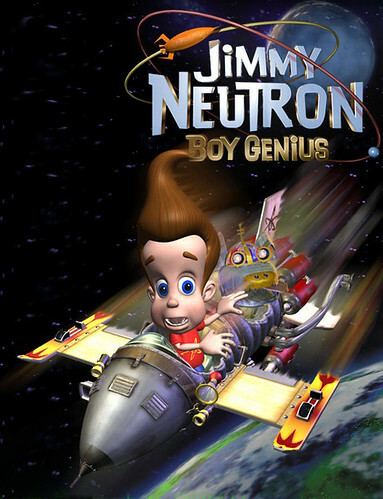 For such an effort, he deserves a digg. Samsung Electronics Co., Ltd., has started sampling a multi-standard channel decoder and multi-band radio frequency tuner chipset made using its 65-nm process that it says supports almost all mobile TV standards including DVB-H/T, DAB-IP, ISDB-T, and terrestrial DMB. Volume production of the part is scheduled for the fourth quarter of 2007. The chipset is being offered either as two standalone ICs or as a system-in-chip package (SiP). 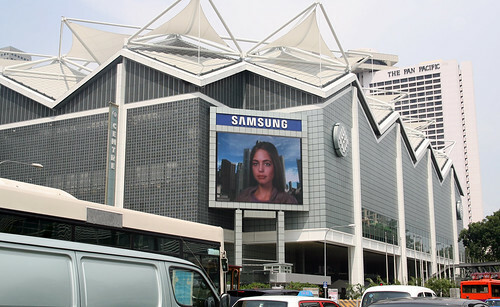 "Although a new market, we see high growth potential in mobile TV applications," said Yiwan Wong, vice president, Marketing Team, System LSI Division, Semiconductor Business, Samsung Electronics. 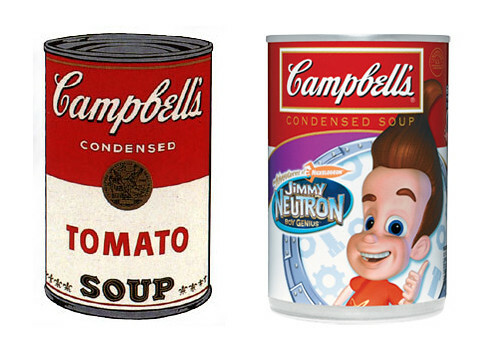 Wong added the part will initially be targeted at the European and Asian markets. Samsung says the multi-band RF tuner, which receives the analog broadcast signal, has a simplified circuit structure by applying a low IF to compliment the conventional zero IF. It is also a general purpose tuner that supports UHF, VHF and L-band commonly used in Europe and the U.S. The company says the chipset requires no external low noise amplifier (LNA) and additional memory chips, significantly reducing the bill-of-materials (BOM) cost of the total system. The chip set supports Link Layer processing to output fully error-corrected IP datagrams or MPEG2 transport streams. The iPhone introduction is only the beginning of the new mobile revolution. Keep up with the news if you can. 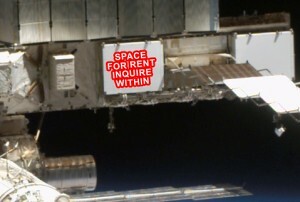 FREE Room for Rent on Space Station in 2010. Must pay for moving expenses. If you are looking for a microgravity labratory, this place is PERFECT for you. I’m now focusing more on exploration-related activites and have some extra space I can share. I prefer government agencies (are you from the National Institutes of Health?) but am willing to accept a private business. The room should be available until at least 2015, although some think it can hold-together until 2022. The move could be a bit tricky. My spacecraft fleet goes out-of-service in 2010. You will need to build or borrow a space-craft to get here. For the past two years, much of the science at the space station has been oriented toward returning astronauts to the moon, and even going on to Mars. 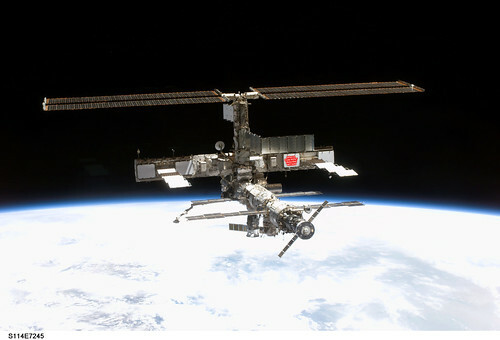 The space station’s first section was launched in 1998 and it has been inhabited continuously since 2000 by Russian, U.S. and European crew mates. By 2009, the station’s three-member crew is expected to grow to six people. The station was designed to last until at least 2015, but managers now believe it could operate as late as 2022. “What probably drives the life is … probably how much the space station is utilized,” said Bill Gerstenmaier, NASA’s associate administrator for space operations. Once it is completed, it will cost about $1.5 billion a year to run the space station. About half the space station’s U.S. section would be available for the use by outsiders, who wouldn’t have to pay a fee for its use. NASA’s plans to open up the space station to outsiders, though, depend on whether private companies build spaceships that could travel to the outpost as a replacement for the grounded shuttles after 2010. NASA has given $500 million in seed money to two private companies to build spacecraft and has signed agreements with others. Rancher W.W. "Mack" Brazel woke-up early one morning after a night of intense storms to check-on his ranch, about 70 miles North of Roswell, NM, and clean-up some debris. What he found started more than 60 years of intense discussion. Conspiracy or cover-up, the debate continues. We all know the story: Mack couldn’t explain the debris, called the local Sheriff but didn’t make too much of the incident. He told the Roswell Daily Record that he and his son saw a "large area of bright wreckage made up of rubber strips, tinfoil, a rather tough paper and sticks." The Sheriff called the local Air Field who sent military officers. The U.S. military first said it was a flying saucer, then backtracked and said it was a weather balloon. Was this flip-flop a cover-up or simply a communications blunder? A crowd, mostly of the "cover-up" opinion, will gather in Roswell in early July to "celebrate" (if that’s the right word) the 60th anniversary of this landmark event in UFO history. City officials expect the Roswell Festival could attract 50,000 people to the area, which has developed into a sort-of theme park for flying saucers and aliens, complete with a museum, gift shop, "Alien Zone," and, soon, a roller-coaster. While the UFO theories didn’t resonate in the reality-based population until Roswell (1947), people were writing about flying saucers much earlier in the century. From claims of "Deros," a race of freaks living under the Earth’s crust, to stories of spaceship kidnappings, pseudo-Science journals tapped into the imaginations of thousands of Americans, from creative teenagers to paranoid-schizophrenics. 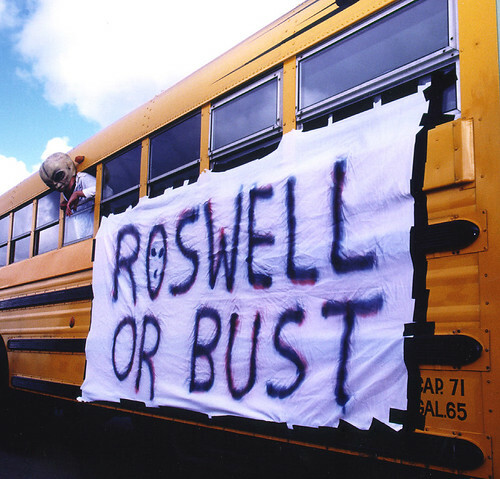 For many, Roswell confirmed their dreams/conspiracies/nightmares. No, I do not believe aliens are stalking humans or that the Roswell debris was anything but a downed weather balloon. But I still appreciate what the Roswell incident contributed to American culture. Without sounding too cheesy, it forced all Americans (not just the Paranoid) to consider the limits of our planet and space. It forced Americans to think big, to explore our solar system, to look up at the stars and consider our possibilities. Perhaps—just maybe—we wouldn’t have had the will to land on the moon had it not been for the collective imagination brought on by Roswell. I have little doubt that Roswell spawned generations of space-enthusiasts, scientists, and astronomers that continue to innovate and explore—much of which we discuss here on ReallyRocketScience. WASHINGTON — Spy chief Mike McConnell has junked a multibillion-dollar spy satellite program that engineers hoped would someday pass undetected through the space above other nations. The move from the director of national intelligence comes after several years of congressional efforts to kill the program, known publicly as the next generation of "Misty" satellites. The new satellite was to be a stealthy intelligence spacecraft designed to take pictures of adversaries and avoid detection. Little is known about the nation’s classified network of satellites, which represent some of the most expensive government programs and receive almost no public oversight. Because of their multibillion-dollar price tags, sensitive missions and lengthy development schedules, spy agencies go to great pains to keep details from becoming public. McConnell gave no reason for his recent decision. Despite the program’s secrecy, he almost dared further inquiry into it. Speaking Tuesday to an intelligence conference on workplace diversity, McConnell changed the subject and ended his speech by saying: "I have been advised when I was getting ready for this job, you have to do two things: kill a multibillion-dollar program. Just did that. Word is not out yet. You’ll see soon. "And fire somebody important. So I’m searching," he added in jest, getting a laugh from the crowd. Asked during a Q&A session to elaborate on which program he cut, McConnell declined to comment. His spokesman Steve Shaw also declined to comment on Thursday, but he noted that the director had the power to make this type of budget decision. Loren Thompson, a defense expert with the Lexington Institute, said he was told by an industry source this month that the program to build the Misty satellites was ending. He said the satellite’s true name is not publicly known, but it has been assigned a designation of a letter followed by numbers. The Associated Press separately confirmed the program was cut. "People are thinking it is just not worth the huge amount of money it is sucking in," Thompson said. Speaking generally, Thompson said promises of faster, smaller, cheaper satellites – hopes that became common during the Clinton administration – have been confounded by the laws of physics. 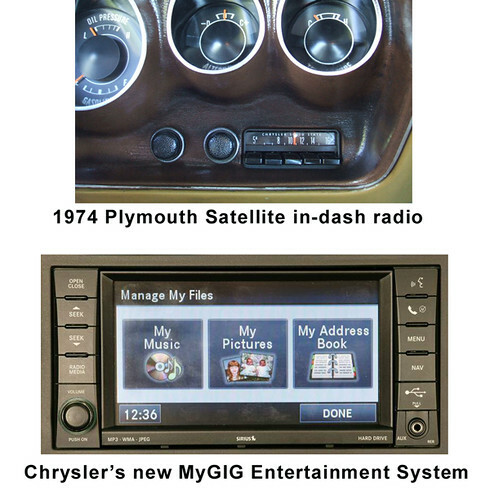 The technology simply wasn’t able to meet expectations. The new generation of Misty satellites was born from the belief that stealth technology would be crucial to deceiving adversaries, since many states are aware when U.S. satellites are passing overhead and can change their behavior accordingly. Yet the threat has changed in recent years, as the United States became more concerned about difficult-to-track terror cells and underground sites for nuclear programs run by countries such as Iran and North Korea. "The entire imagery architecture that is in space or under development was conceived prior to 9/11. Changes in the threat have led to a re-evaluation of the threat," Thompson said. The first satellite launched in the Misty family was disclosed by military and space expert Jeffrey Richelson in his 2001 book, "The Wizards of Langley: Inside the CIA’s Directorate of Science and Technology." 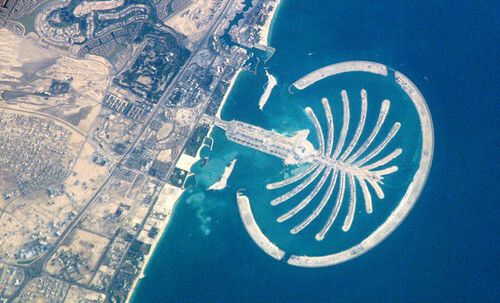 That first Misty satellite was launched from the space shuttle Atlantis in March 1990, he wrote. 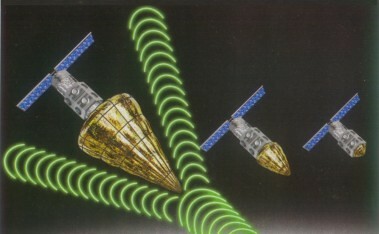 In an interview, Richelson said a second satellite was launched in 1999. But as insiders debated whether to continue to build the third, some officials didn’t think it was worth the money because other satellites could fulfill the role at less cost, said Richelson, a senior fellow with the National Security Archive. In 2004, an unidentified government agency asked the Justice Department to open a leaks investigation after The Washington Post reported that the program’s projected cost had almost doubled from $5 billion to nearly $9.5 billion. Rick Oborn, a spokesman for the tightlipped National Reconnaissance Office, declined to comment on McConnell’s decision. His Northern Virginia-based agency is responsible for designing, building and operating a constellation of U.S. spy satellites. Those spacecraft are built by American companies contracted by agencies including CIA and NRO and by the Air Force. A spokesman for Lockheed Martin, which is believed to be the lead contractor on this program, declined to comment on McConnell’s decision. The pricey program has been a source of controversy in Congress. In the House’s intelligence budget bill approved last month, lawmakers agreed to end a satellite program that they had supported before, according to New Mexico Rep. Heather Wilson, the top Republican on the House Intelligence Committee’s panel on technical intelligence. "We had to make some decisions without a lot of good alternatives," she said in an interview. The details are in the classified portion of the bill, and Wilson would not confirm that it was a next-generation Misty satellite. But Wilson, a former Air Force officer, said McConnell’s decision was part of ongoing discussions among his advisers, the House committee and the Defense Department. "There was a great deal of communication," she said. Wilson said the government does not have to walk away from the entire amount sunk into the program. 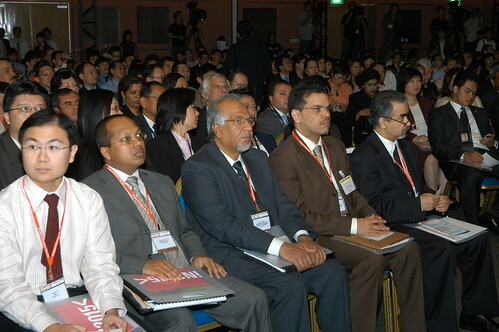 Rather, she said, some of the technology can be harvested and used in other programs. She declined to offer any details. Wilson praised McConnell’s early moves but said the key factors in his decision to end the program predated his arrival as intelligence chief in February. "I think it is the conclusion that most of the folks involved had come to – based on cost, schedule and performance. It was a conclusion that everyone was coming to at about the same time," she said. House Intelligence Committee Chairman Silvestre Reyes, D-Texas, could not be reached for comment. The panel’s top Republican, Rep. Peter Hoekstra of Michigan, said he is not looking for a decision on a single program from McConnell and his advisers. He wants to see leadership. "I am looking for them to give us a strategy," he said. "This program was there for a reason. What are you going to replace it with? How long is it going to take to develop it? What is the cost for this new program?" Hoekstra would not identify the program McConnell said was being cut and said he remains doubtful it is truly gone. He said its congressional allies could find a way to bring it back to life through a bill. He also noted that the White House has not sent a revised version of its budget to Congress reflecting McConnell’s change. Hoekstra also criticized how McConnell made his decision public. "I don’t think the way you go about announcing major policy decision is to make a flippant comment to a group that you are speaking to about diversity," he said.